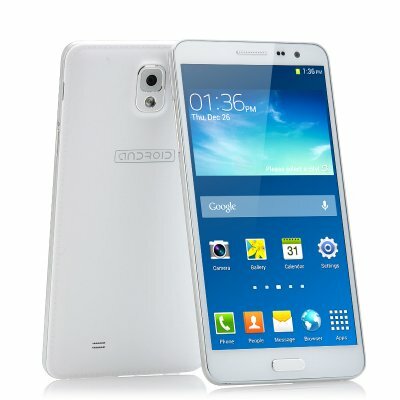 Successfully Added Android 4.2 Jelly Bean Mobile Phone "Scribble" - 5.7 Inch IPS Display, MTK6589 Quad Core 1.2GHz CPU, 8MP Rear Camera (White) to your Shopping Cart. Android 4.2 Jelly Bean Mobile Phone has it all and will change the way you engage with people and media as it has a 5.7 Inch IPS Display, MTK6589 Quad Core 1.2GHz CPU as well as an 8GB Rear Camera. 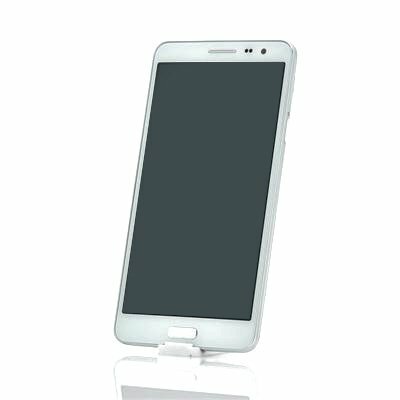 This “Scribble” cell phone comes in a white case and certainly aim to attract attention especially as it has a stunning 5.7 inch IPS display that also will detect every moment due to having a 5 point capacitive touch screen. If you like to stream videos or take photos, the “Scribble” mobile phone has two built-in cameras with one being 2 megapixel and the other being 8 megapixel, plus this phone has a resolution of 720p at 258 pixels per inch, which results in some quality visual viewing. When it comes to power and performance this “Scribble” 5.7 inch display phone can deliver as it has a MT6589 Quad Core 1.2GHz processor that makes certain everything runs correctly and efficiently. Coming with Android 4.2, the “Scribble” phone’s choice of operating system is certainly a good because this is one of the most advanced and commonly used systems about that is being used by a number of smart devices. With Android 4.2 you can change lay-outs, customize menus, create profiles and access the pre-installed Google Play store to have access the thousand of applications that are stored there. This 3G phone is a suitable choice for anyone wanting power, performance and style at a super wholesale price. This Android 4.2 Jelly Bean Mobile Phone is in stock now, we guarantee it can be dispatched within one working day with a 12 months warranty. Brought to you by the leader in electronic devices and wholesale Android Phones, Chinavasion. Même format que le galaxy note 3, c’est un beau téléphone pour un petit prix. Ne pas s'attendre à du grand luxe, il fait ce qu'on lui dit, c'est fluide et c'est déja pas mal. 3G et wifi en France pas de soucis. EXCELLENT! O smartphone é muito bom. Tela muito grande. Parabéns. Hi guys, i am from Greece...... after 10 days i have this product to my hands...... JUST PERFECT!!!!!!!!!!!!!!!!!!!!!!! Very good condition and quality phone. Works perfectly and very smooth.